There’s a multitude of reasons why a film may get unfairly overlooked. It could be a lack of marketing resources to give it a substantial push, or, due to a minuscule roll-out, not enough critics and audiences have viewed it to collect the champions it might require. It could simply be the timing of the film itself; even in the world of studio filmmaking, some features take time to get their due. With an increasingly crowded marketplace, it means there are more reasons than ever a film might not find an audience and, like last year, we’ve rounded up the releases that deserved more attention. Note that all the below films all made less than $1,000,000 at the box office (VOD figures not figured in, as they aren’t made public) and are, for the most part, left out of most year-end conversation. Sadly, most documentaries would qualify for this list, but we stuck to strictly narrative efforts and one can read our rundown of the top docs here. So, check out the list below and let us know the 2013 films you loved that aren’t getting the recognition they deserve in the comments. A great deal of the below films are also available to stream, so check out our feature here to catch up. Ain’t Them Bodies Saints is a particular kind of film, one that was probably never destined to find a wide audience. While the basic story, about a jailed robber escaping prison to return to the love of his life and their child, may sound like a fairly rote plot, the earnestness and poeticism of the film could drive people away. But between the lovely cinematography, the deeply-felt performances, and the stirring narrative, this is a film that was unfairly overlooked on its release. Whether the simplicity or art house airs kept audiences away, this film deserves to be a classic. – Brian R.
It has been five years since the release of Jia Zhangke’s last feature-length fiction film, 24 City— by far the longest gap between such features in his career. The helmer’s latest, A Touch of Sin, is cleanly divided into four sections: each is about half an hour, and each contains more action in its own span than most other films do in their entirety. Indeed, the first scene sees a man thwart a gang’s attempt to mug him with a swift draw and accurate gunshots, rather cleanly setting the stage for what’s to come. A Touch of Sin is an action film by Jia’s standards, but the wuxia conventions are alive and well from beginning to end (the title itself is a reference to the genre classic A Touch of Zen), and that, alone, makes this departure about as sharp as the one Wong Kar-wai took with The Grandmaster earlier this year. – Forrest C.
Claire Denis’ dark genre piece lives and breathes in the shadows of the two tenants living in an old apartment building. 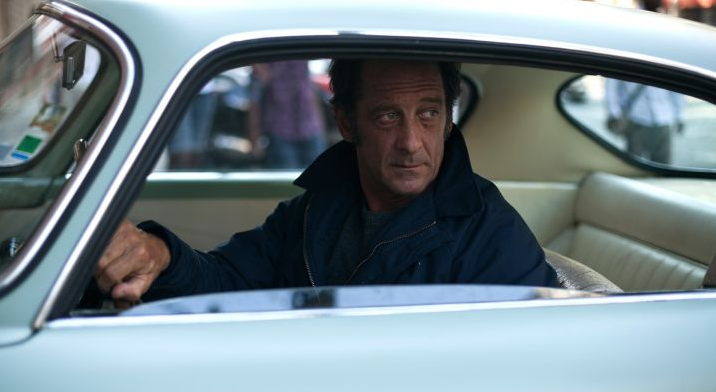 Vincent Lindon gives one of the most charismatic performances of the year, playing an estranged brother who’s come home after his brother-in-law’s suicide, determined to find an explanation for the act. This stylish piece of cinema deserves as much praise as anything Denis’ done. – Dan M.
The most-accomplished directorial debut of 2013, Alexandre Moors’ slow-burn examination of the 2002 Beltway sniper attacks features breathtaking cinematography from Brian O’Carroll and top-notch turns from Isaiah Washington and Tequan Richmond. While we can’t blame audiences for skipping out on this dark subject matter at first glance, they missed a confidently directed examination of what drove these senseless killings. – Dan M.